Hercules Action Sit uses Cobra quick connect buckles for speed and security. Made from highly resistant materials. 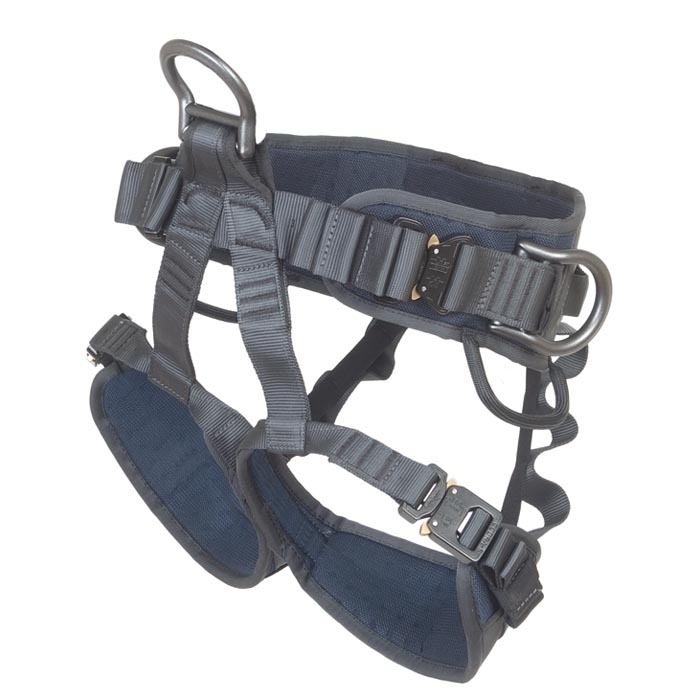 Padding on the harness is reinforced with polyethylene plate for stability and comfort. Side attachment points for work positioning according to EN358 standard. Large gear loops for equipment with load capacity of 10 kg (22 lb). Webbing loop for EN813 standard and attaching Hercules Shoulder. Combining Hercules Shoulder with Hercules Action Sit will add a front and rear steel attachment point for EN361 full body harness standard. See shoulder description for more details.